The bookstore is sponsored by the Book Publishing Company, which specializes in Healthy Living Publications and Native Voices. Our extensive selection of books includes hundreds of nutrition, cooking and vegetarian titles. There are cookbooks from every part of the world and for every type of food from soups to desserts, tofu to tempeh and curry to burritos. Whether you’re cooking for kids, preparing gourmet meals for dinner parties or making a quick snack for yourself, you will find the cookbook you’ve been looking for. There will also be books to help you learn how to learn more about good nutrition and to help you change your diet. Some of the chefs are also cookbook authors. They will be available for book signings at Vegfest, right after their presentation. 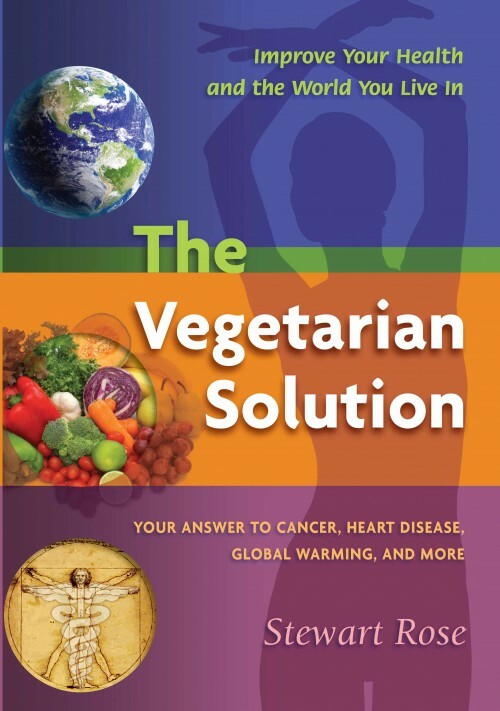 Vegetarians of Washington has written several books to help people following a vegetarian diet. In Pursuit of Great Food: A Plant-Based Shopping Guide, written by Stewart Rose and Amanda Strombom, will help you be a savvy shopper. 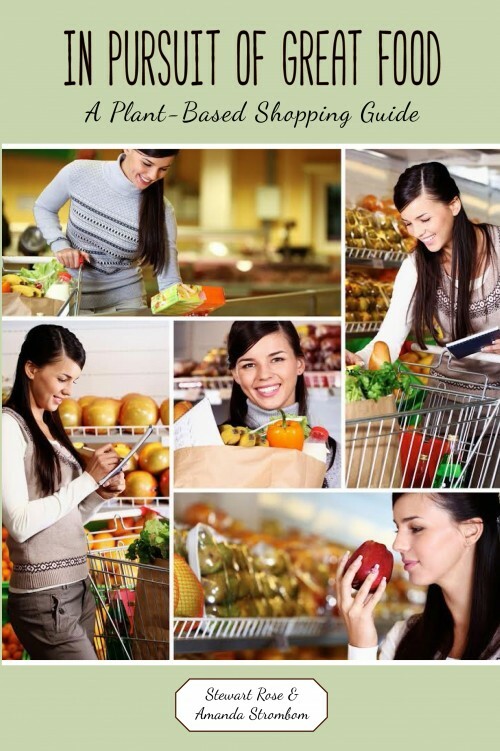 Learn about the wide variety of wonderful plant-based products available in the stores. It’s the perfect guide for both beginners looking for some veg-shopping basics and experienced vegetarians interested in some of the finer points. Say No to Meat! 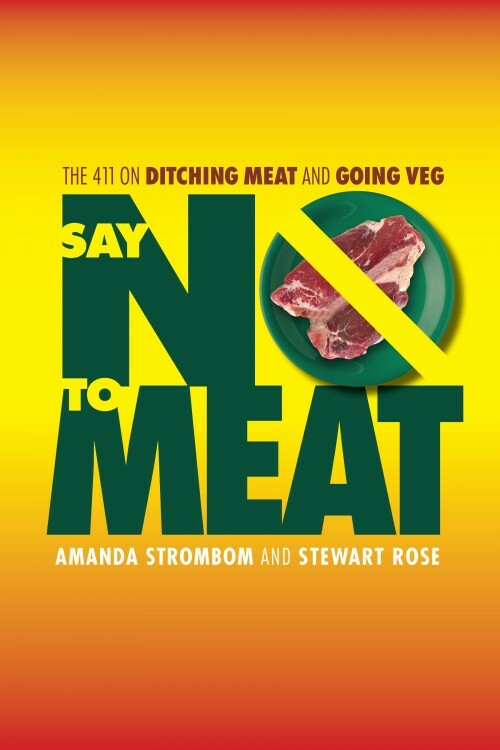 The 411 on Ditching Meat and Going Veg, written by our president, Amanda Strombom, and vice president, Stewart Rose, dishes up straight talk on the facts about a meat-centered diet. You’ll find valuable information on the key issues, and get answers to your questions about the practical and social aspects of being a vegetarian. The Vegetarian Solution, written by Stewart Rose, our Vice President, shows how our food choices have a huge impact on our risk of many common diseases. Not only a solution to our health concerns, it also shows how a vegetarian diet can be a solution to environmental crises such as water pollution and global warming, to feeding the world’s hungry and to giving the animals a better life. Fully referenced for those wanting to investigate further, there are also charts and illustrations to aid understanding. Practical pointers are offered for making changes to your diet. Our cookbook, The Veg-Feasting Cookbook, is a truly unique cookbook. 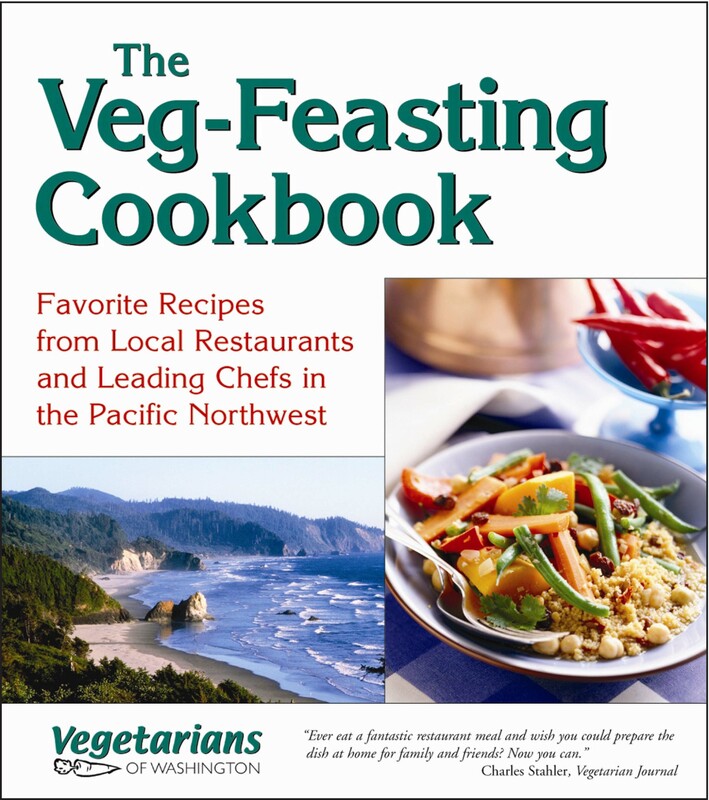 It includes gourmet vegetarian recipes from restaurants in Washington and Oregon, popular recipes presented at Vegfest, expert chefs’ tips and interesting articles on nutrition and the vegetarian scene in the Pacific Northwest. Among the many gourmet vegetarian recipes, you’ll find Spring Pea Garbanzo Pancakes from Café Flora in Seattle, and Lavender Sorbet from The LocoMotive in Eugene, Oregon. All the recipes are free of animal products. Be sure to buy your copy at Vegfest. – F. McEachrane Gross, MD. Current and renewing members and people who join Vegetarians of Washington at Vegfest will be able to buy these books at an extra special discount. If you are a member or planning on joining or renewing at Vegfest, be sure to look for these special books at the membership tables, where these books will be available at a special price.